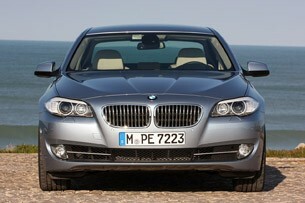 Autoblog rating for the BMW 525 is not available. Please check back later. 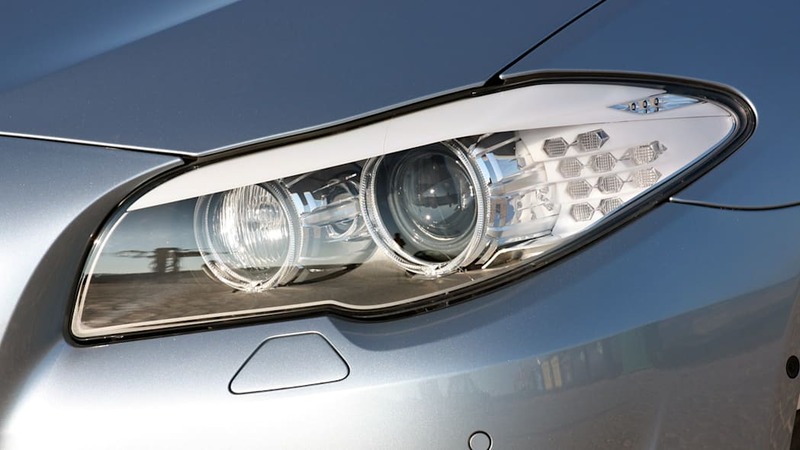 After having us over to drive its raging new M5 last September, BMW is now aiming to show just how efficient their F10 5 Series can be with the occasionally silent and rage-free ActiveHybrid 5. 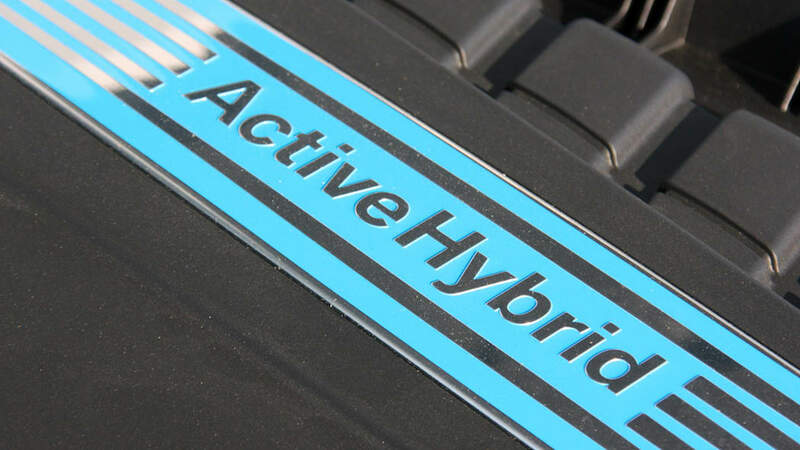 Whereas the ActiveHybrid X6 and ActiveHybrid 750i arrived somewhat lacking in state-of-the-art hybrid credentials, the ActiveHybrid 5 carries a true and undeniable full parallel hybrid powertrain starting with all the goodness you find in a 535i. 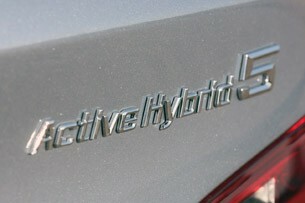 This ActiveHybrid 5 is essentially a 535i sedan that pollutes less, travels farther on each of its 17.7 gallons of fuel, is painted BMW's alternative-propulsion color of choice, Bluewater Metallic, and weighs 330 pounds more due to its electric motor, electric power unit motherboard and lithium-ion battery pack. 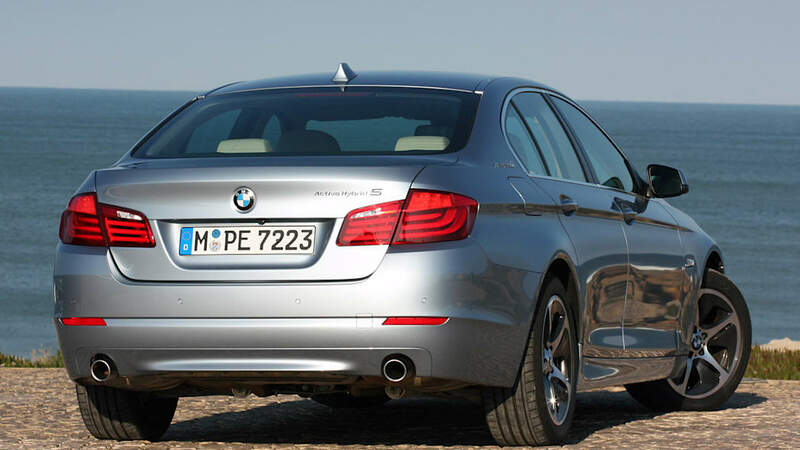 Both CO2 emissions and range are said to improve by roughly 16 percent in a car that performs up to par with a 535i, so it's a likeable proposition. 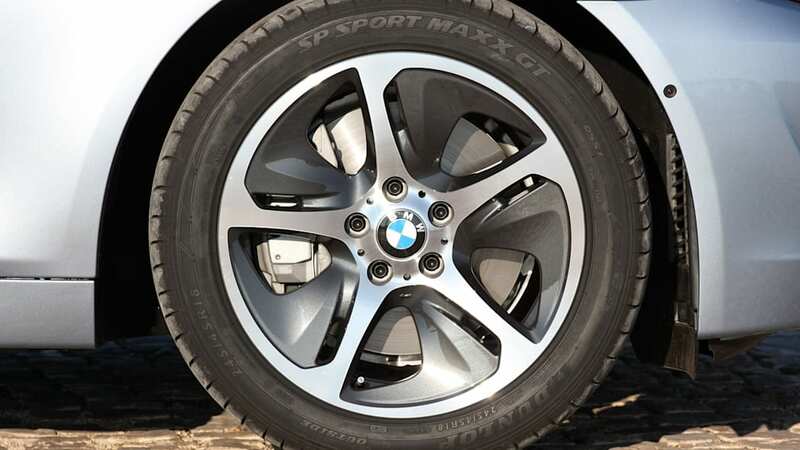 Sticking with the standard 17-inch wheel/tire setup and setting the Driving Dynamics Control to Eco Pro mode, that'd make the CO2 rate 240 grams per mile – an impressive stat that most Americans still don't care about – and an average EPA city/hwy combined fuel economy score of around 31 miles per gallon. 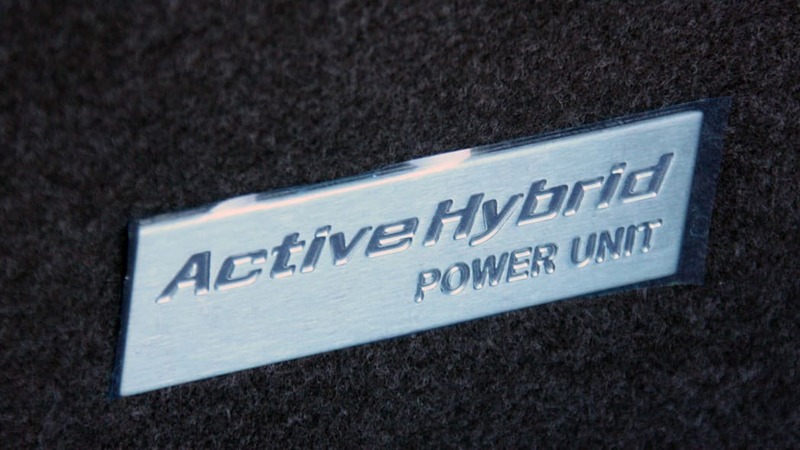 With a base price of $61,845, the ActiveHybrid 5 will cost 17.8 percent more than the $52,500 535i when it arrives at U.S. dealers in late March. 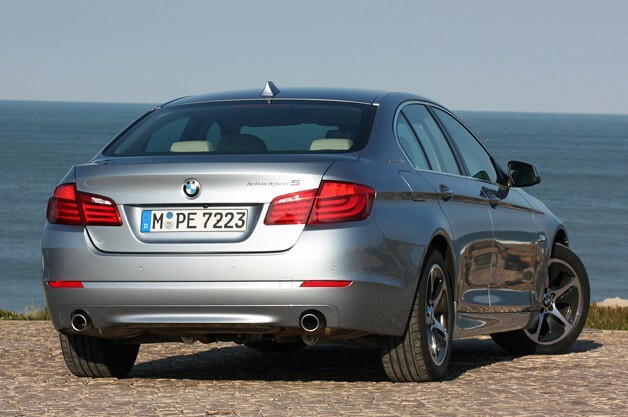 For comparison's sake, the ActiveHybrid 750i costs 15.1 percent more than the 750i and the recently discontinued ActiveHybrid X6 ran a whopping 26.8 percent more than the X6 xDrive50i. 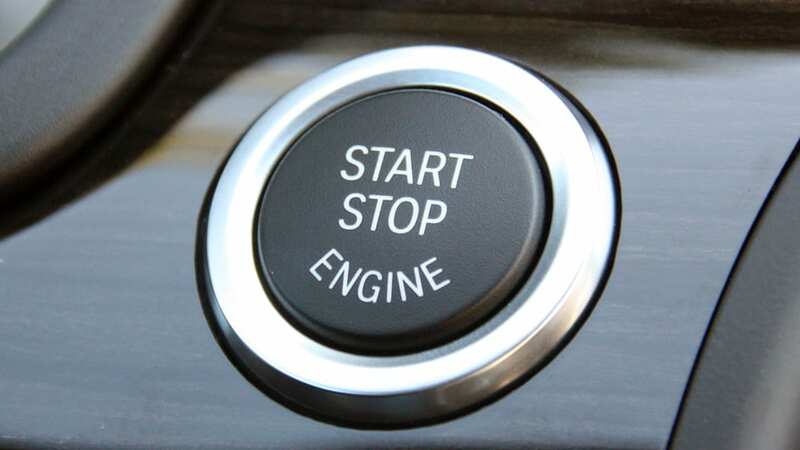 Hop in, press the Start button, and there is the passionate sound of silence. 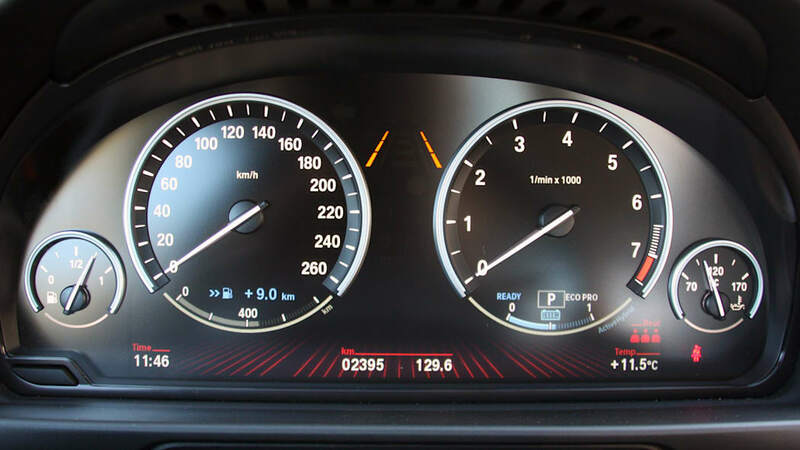 Digital dials light up, bright needles bounce right then back to the left, and there is some subtle whirring that goes on originating from the EPU somewhere deep beneath the driver's seat. That's the ActiveHybrid 5 booting up. 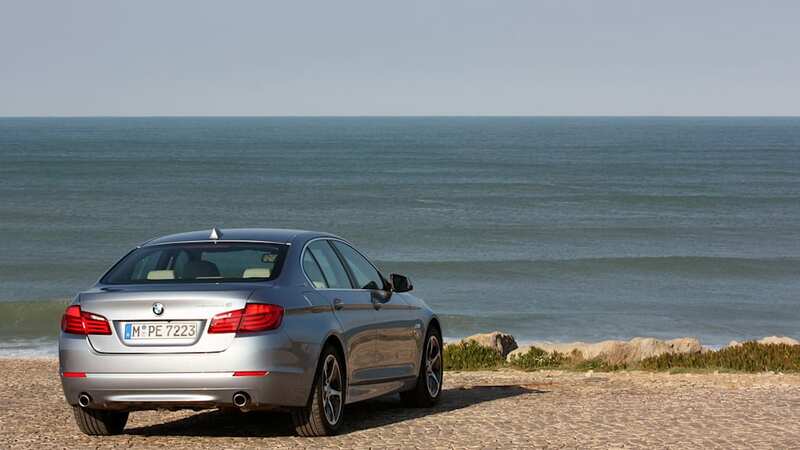 If we hadn't been driving the ActiveHybrid 5 over a highly dynamic route in Portugal with lots of coastal hills, maybe the car could have stayed in eDrive mode all the way up to BMW's stated electric-only top speed of 37 mph. 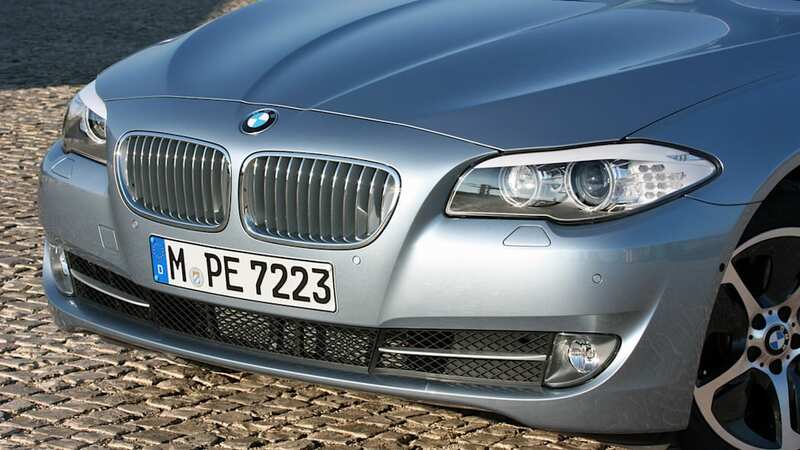 But the road bent upward right out of the parking area, and the somewhat adapted N55 TwinPower Turbo 3.0-liter six-cylinder came on-line after only a few hundred yards of travel. 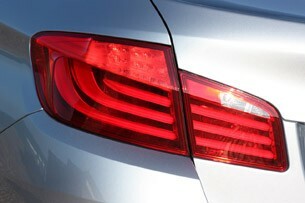 The strong hybrid equals the 535i's 5.7-second 0 to 60 dash. Attached to the front of the inline six is an additional very robust starter motor that's attached via belt to the crankshaft. Whenever the engine needs to jump to life to help acceleration and/or recharge the battery pack, this motor does the trick, and it's almost seamless in its integration and operation. 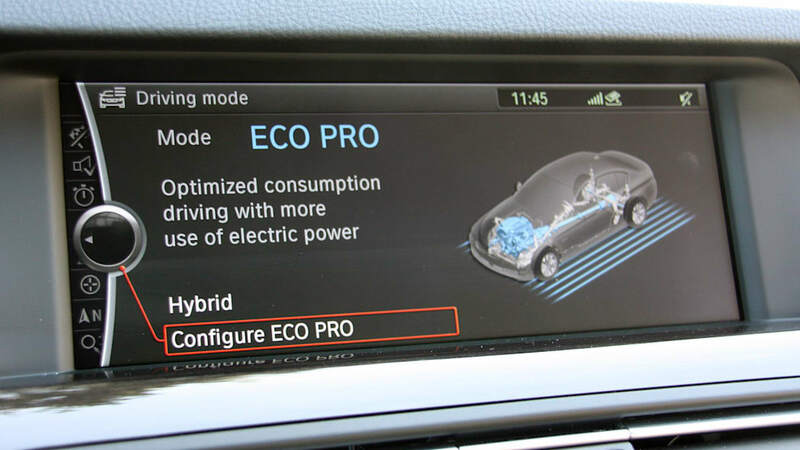 It's crucial that any BMW be a smooth operator, and this setup allows BMW to maintain this image for owners who are ActiveHybrid early adopters. 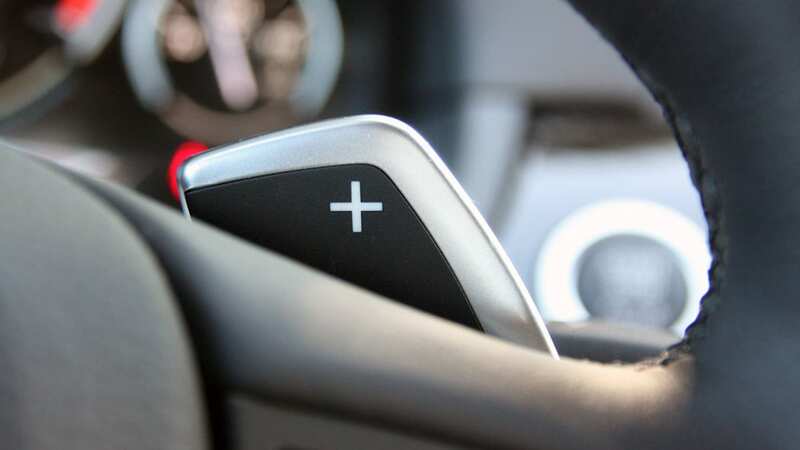 Not once all day did transitions between eDrive and other modes feel brusque, and there were several opportunities on our drive for clumsy switches. 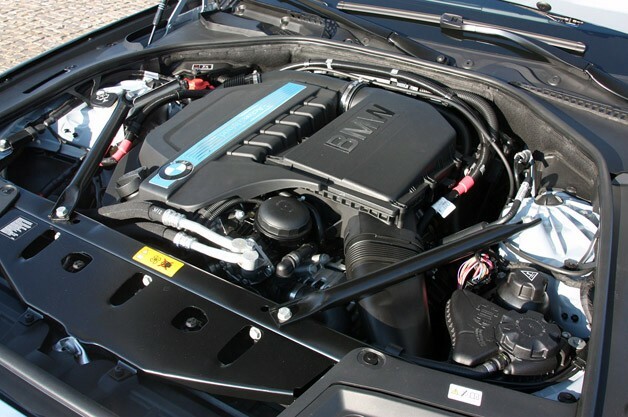 You get the full 302 SAE-rated horsepower from the 535i's six, plus 54 hp from the electric motor. 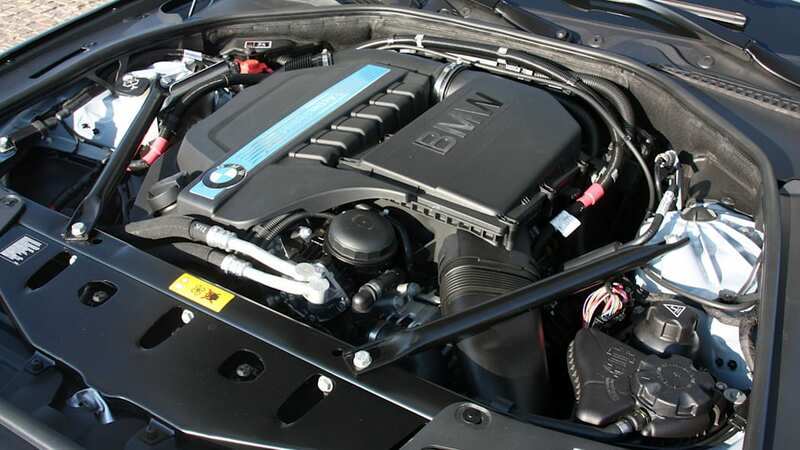 Of course, you can't just add the two to get total power, because the electric motor is paying attention to several functions, acting not only as giver of additional power and torque, but also as a generator to help supply energy to the depleted lithium-ion battery pack whenever needed. 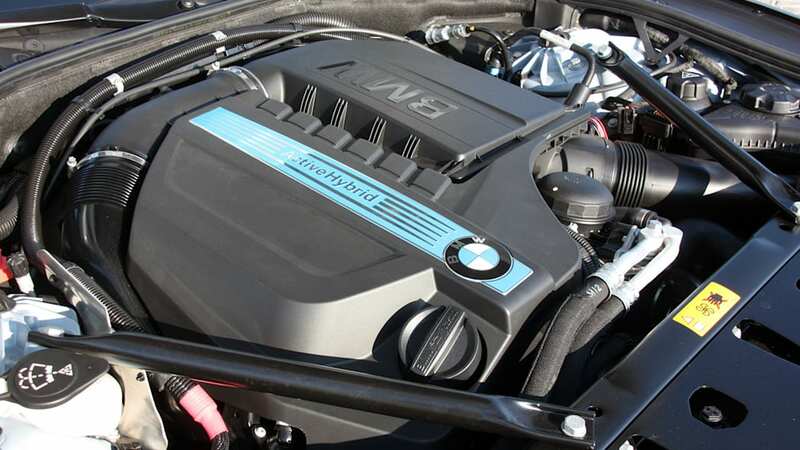 In the end, total possible horsepower hits 335 at 5,800 rpm, while torque from the electric motor is 155 pound-feet from zero revs, and the engine's 295 lb-ft plateaus nicely between 1,200 and 5,000 rpm. Cumulative torque when both power sources are engaged in their boost cycle and the Driving Dynamics Control is set to Sport+ is 332 lb-ft, and it starts right at 1,000 rpm and carries through to 5,000 rpm. 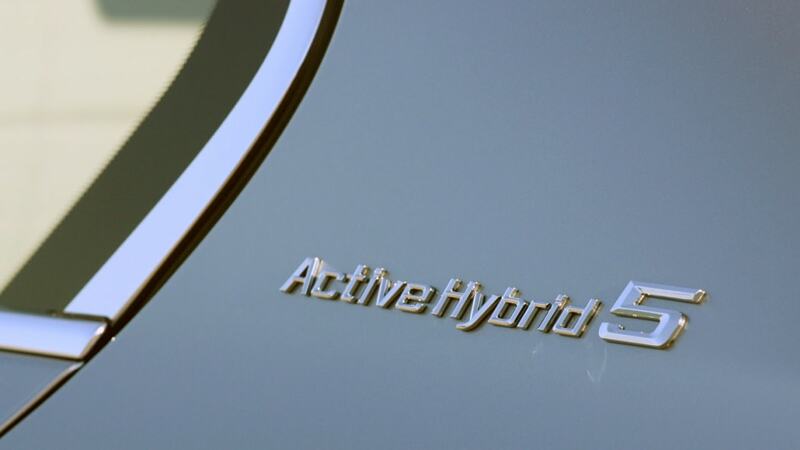 If not for the additional weight of the electrical guts, the ActiveHybrid 5 would hit 60 mph in just 5.3 seconds. 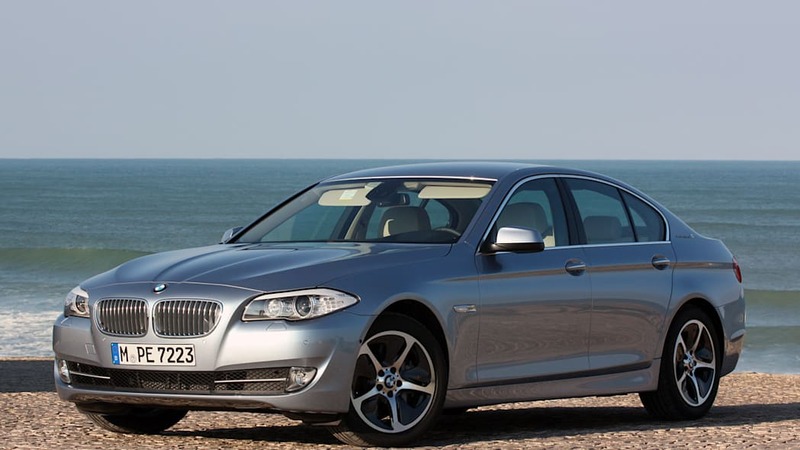 As it stands, the strong hybrid equals the 535i's 5.7-second 0 to 60 dash. Presumably, one buys a hybrid to drive in a frugal and conservative way. 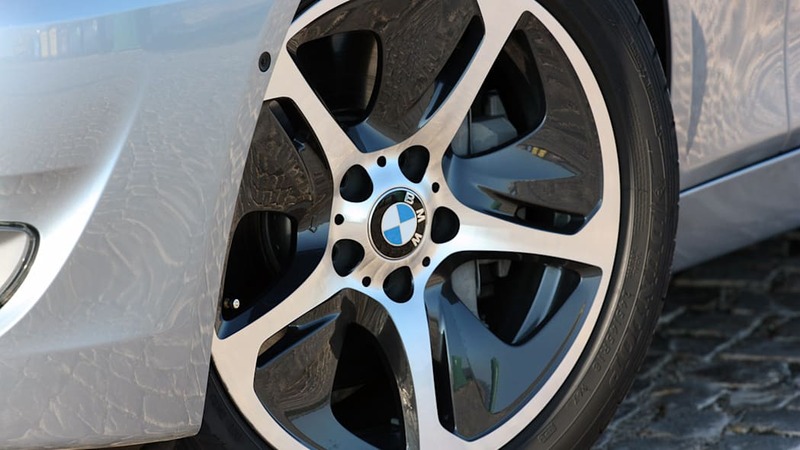 Instead of treating the accelerator like a bug to be mashed underfoot, most hybrid drivers feather it like a sewing machine. 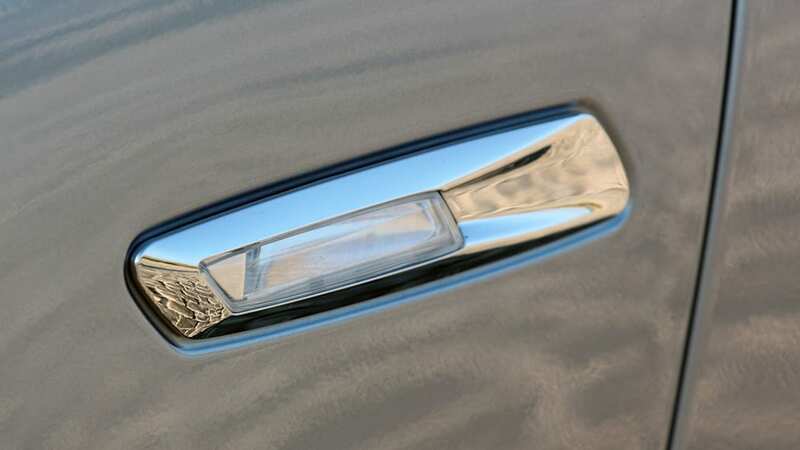 On the other hand, not a day goes by when we don't see a few drivers in their precious Toyota Prius ecomobiles tear-assing through traffic, overtaking Porsches and generally defeating the entire purpose of hybrid ownership. So, what do we know? Well, we do try to obey the unspoken hybrid rules of a more kind and gentle approach to driving. 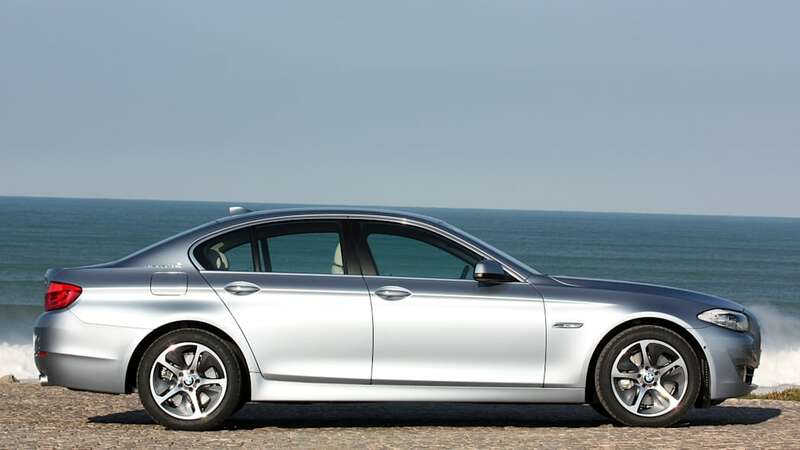 The ActiveHybrid 5, as with all BMW 5 Series models, is perfectly pleasant in country two-lane mosey mode. So, once we assuaged our motoring guilt, we then moved on to driving this Bimmer on these glorious Spanish roads in a manner in which we are accustomed: sport. 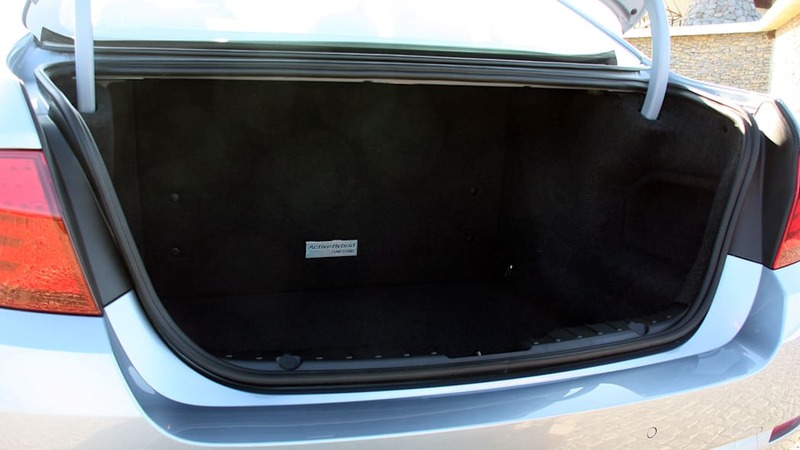 In short, the ActiveHybrid's added weight is definitely felt, but then so is the added power and torque from the electric motor. 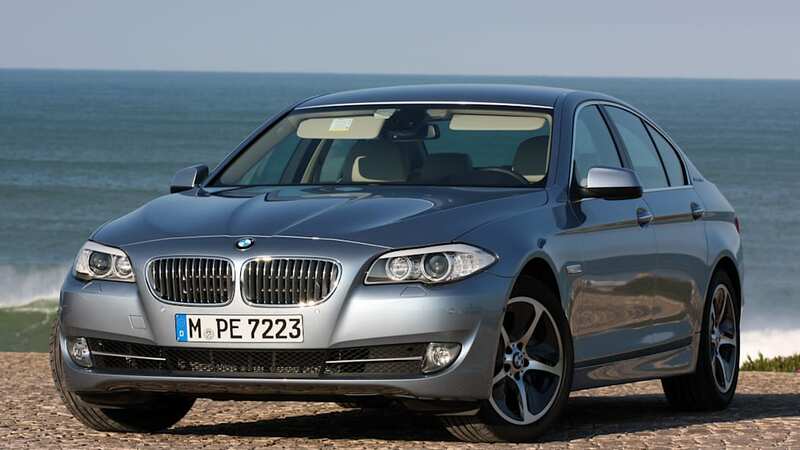 As we insinuated before, things kind of even out, and you're left with something broadly similar to a standard 535i. 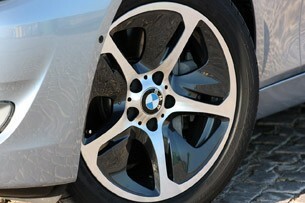 This is exactly what BMW says it is hoping drivers feel, so they can rest easy in our assessment. It's a pity that the aero design Streamline 18-inch wheels are an option, since they have clearly been designed to go with this car. Shame on you, Munich. 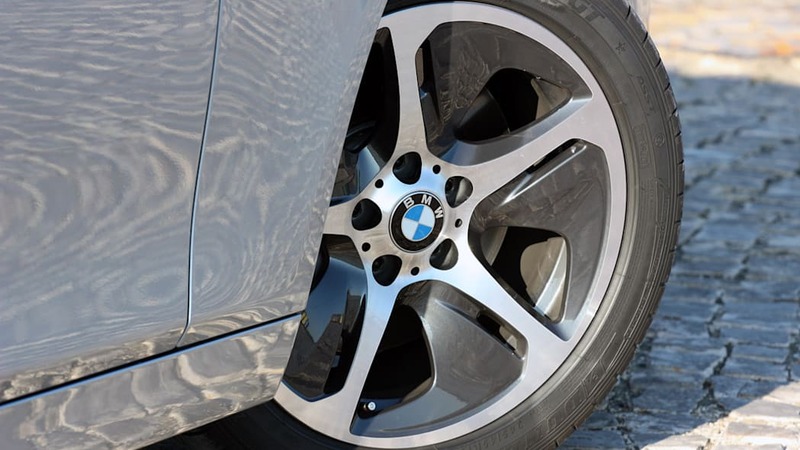 The standard 17-inch wheels with their low rolling resistance tires are a significant contributor to the overall efficiency of the ActiveHybrid 5, and these slick 18-inchers take away a smidge of the car's green credentials. Even so, we prefer them both dynamically and aesthetically. 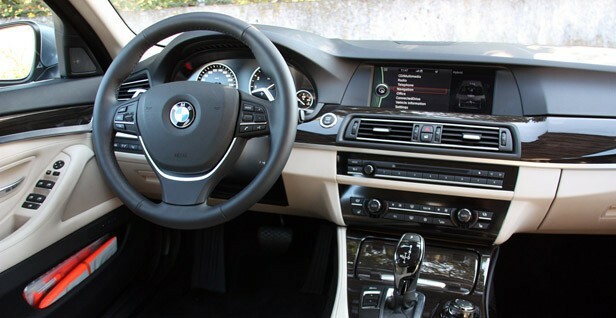 Inside, the interior – apart from the occasionally quiet electric drive times – is what we've come to expect while sitting in a 5 Series cabin. 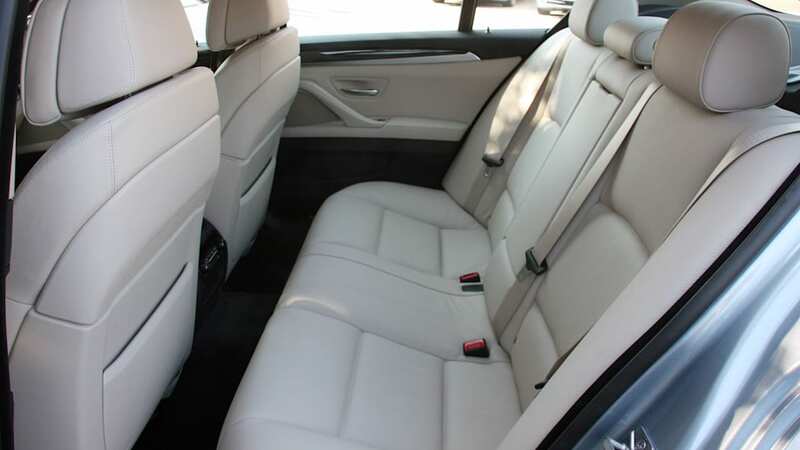 Our test car's leather wasn't BMW's habitually sober shade of gray, which helped brighten our mood. 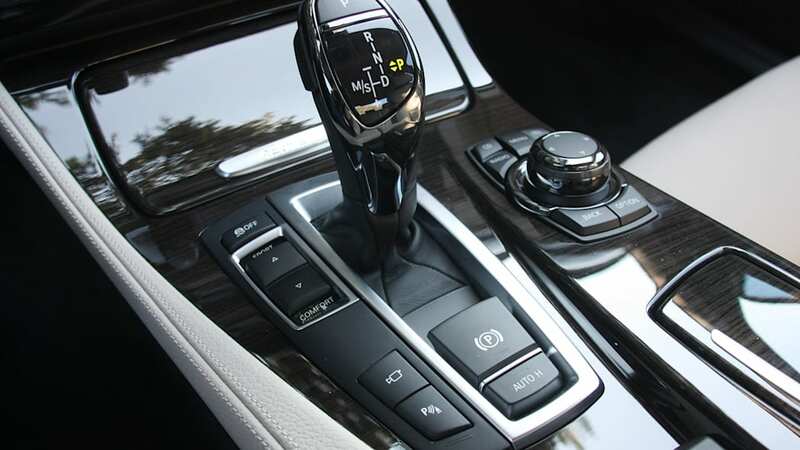 Our tester was fitted with the optional sport version of the eight-speed automatic transmission plus sport steering wheel with shift paddles, and so there was some additional get up and go on hand. 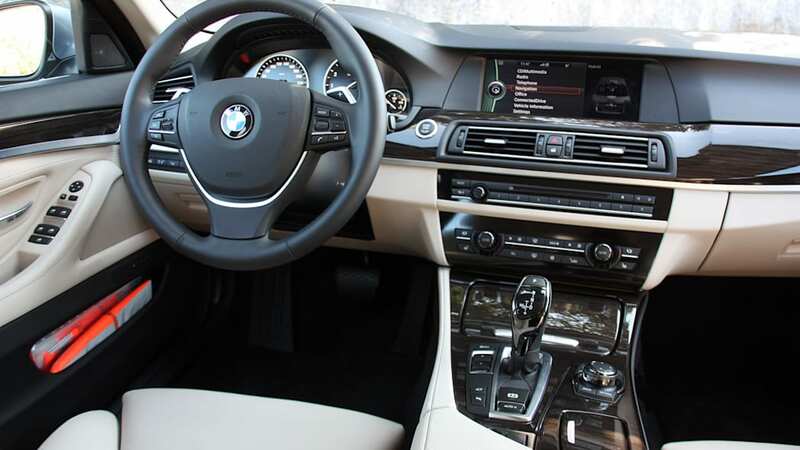 The interior's most noticeable difference arrives courtesy of the 9.2-inch iDrive screen that displays graphics showing the current state of the car's hybrid powertrain. 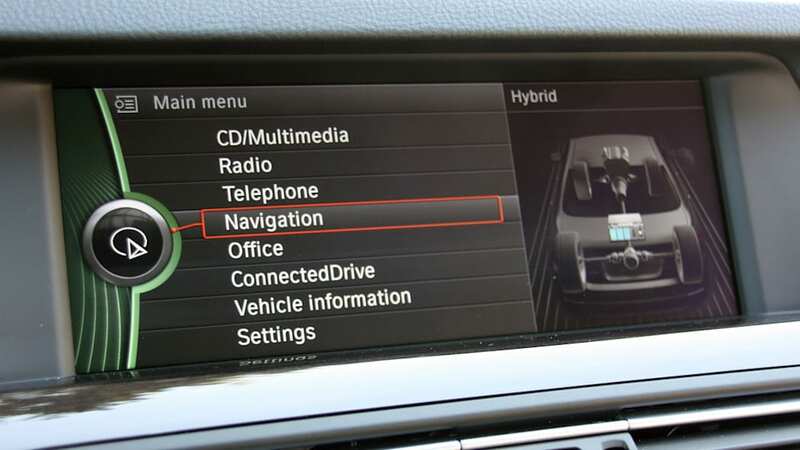 The screen is where you see what mode you're driving in and where you keep tabs on DDC settings as well. It's here where you can select the optional ultra cushy Comfort+ mode and float through the clouds you're helping keep free from acid rain. 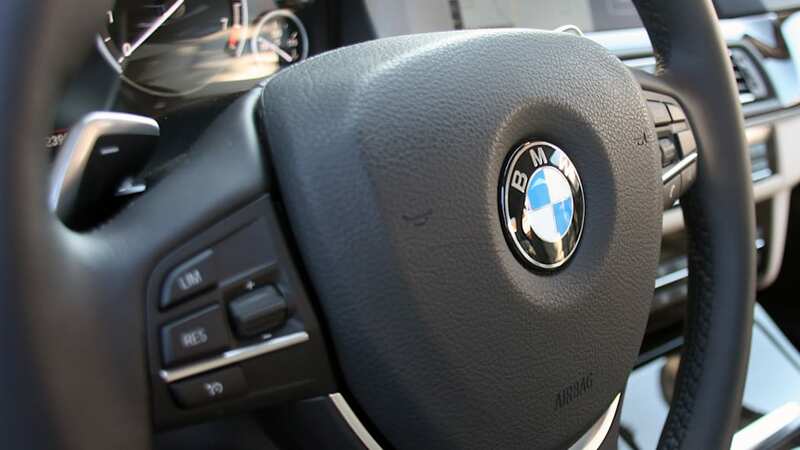 What is most potentially revelatory in the ActiveHybrid 5's functionality is the integration of what BMW is calling "Intelligent Energy Management" into the sat-nav. 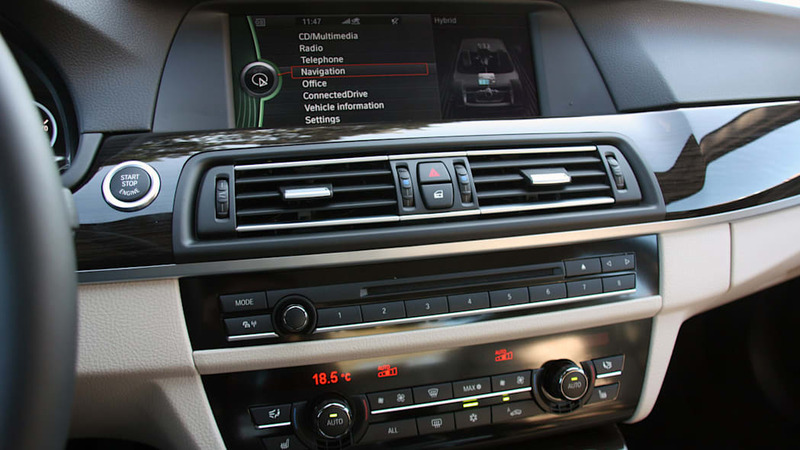 There are a few types of this next-generation brainiac driving software in development around the world, and we've already tried some. 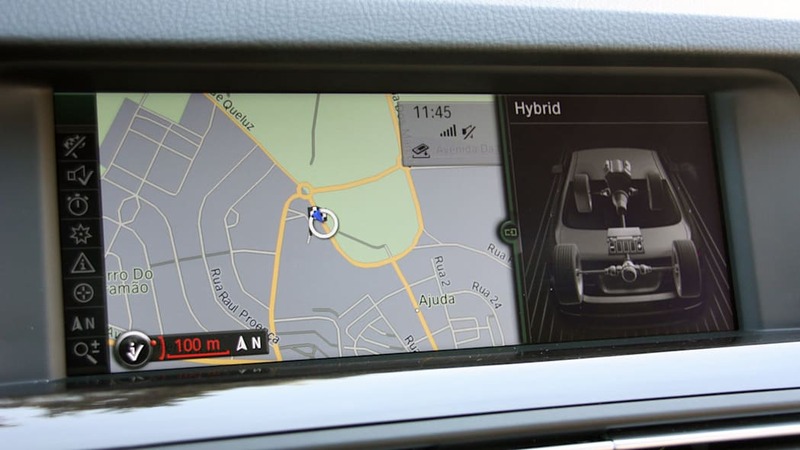 IEM works with the car's GPS, taking into account the detailed parameters of the exact road and landscapes on your route to optimize the car for efficient running. 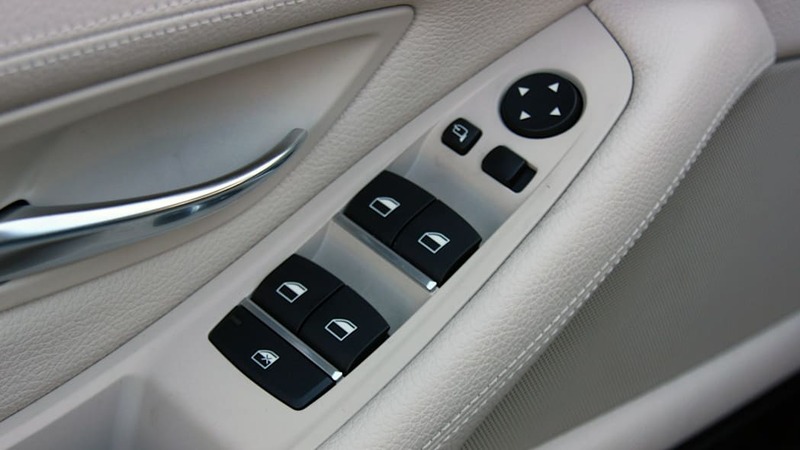 For example, by recognizing a steady downhill run, IEM can instruct the motor's generator function to charge the battery without depleting the car's speed. 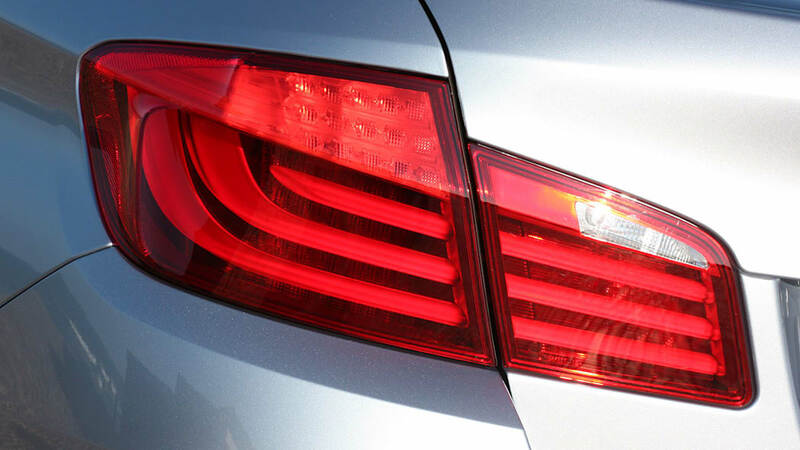 The best fuel economy we realized was 25.6 mpg. Naturally, the system's usefulness depends on exactly how much of this detailed topographic and infrastructure information has been made available by various federal and state entities. 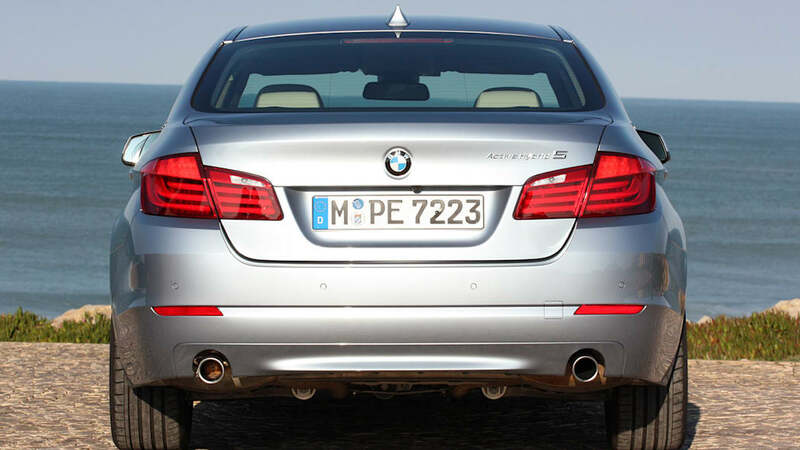 It's no coincidence that this information is now readily available in Germany – right down to small dirt farm roads. The U.S., however, has a ways to go, as you might imagine. 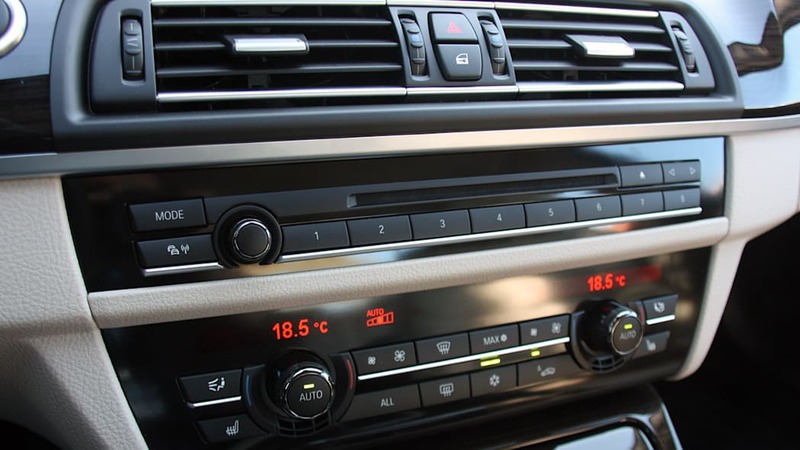 In fact, there's a ways yet to go on IEM mapping in Portugal, too, but this technology is still a first for production cars. Given the wild up and down swings of the routes we drove, the best fuel economy we realized was 25.6 mpg, and that was while driving like the most tender-minded motorist in the Garden of Eden. 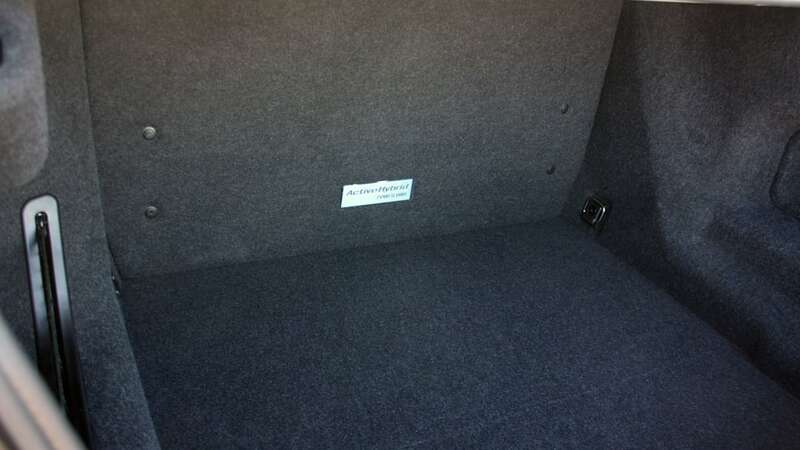 This is respectable for a 4,420-pound (fluids and driver aboard) executive sedan under these road conditions. 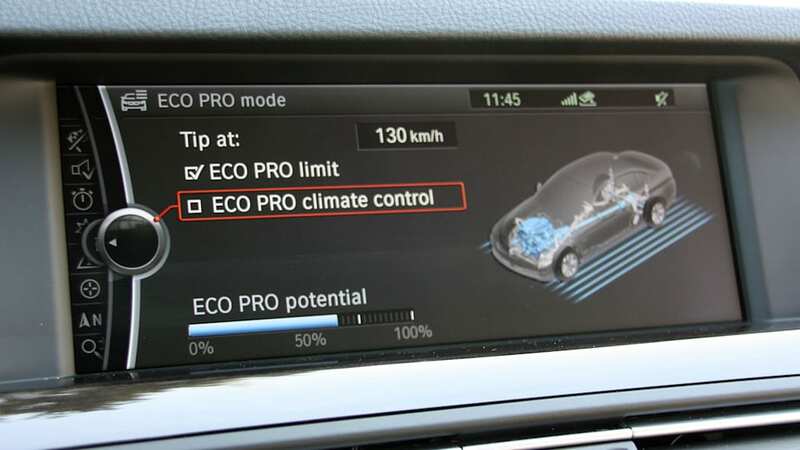 There were a few points along the route where we managed to find the delicate sweet spot of the accelerator pedal while in the DDC's Eco Pro mode, and we were able to coast with the internal combustion engine decoupled – essentially eDrive – at speeds between 80 and 90 mph on rural highways. The limit for this is 100 mph and it is a worthwhile sensation to experience. 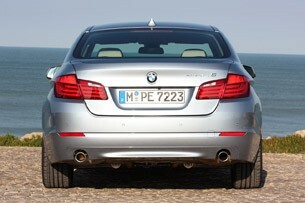 But how is any of this really better than the 4,145-pound, diesel-powered 535d with its 308 hp and 465 lb-ft of torque? 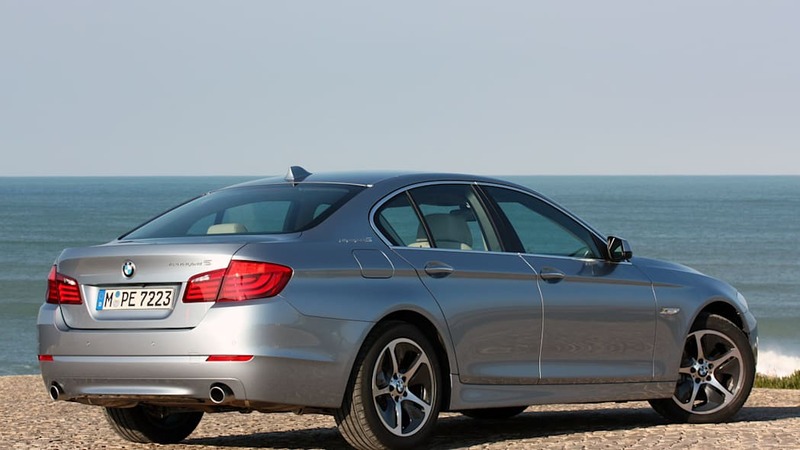 The 535d averages equal or better real world mileage per gallon, emits a bit less CO2 per mile and, by our math, costs what would be around $5,000 less. Is this simply the finest efficient alternative for markets that by and large reject diesel? Regardless, we all know that hybrids effectively are the American diesel market – and vice-versa in Europe – at least for the time being. We definitely like the ActiveHybrid 5 in the general sense; it's perhaps the finest execution of a high-end everyday driving hybrid that we've tried yet. 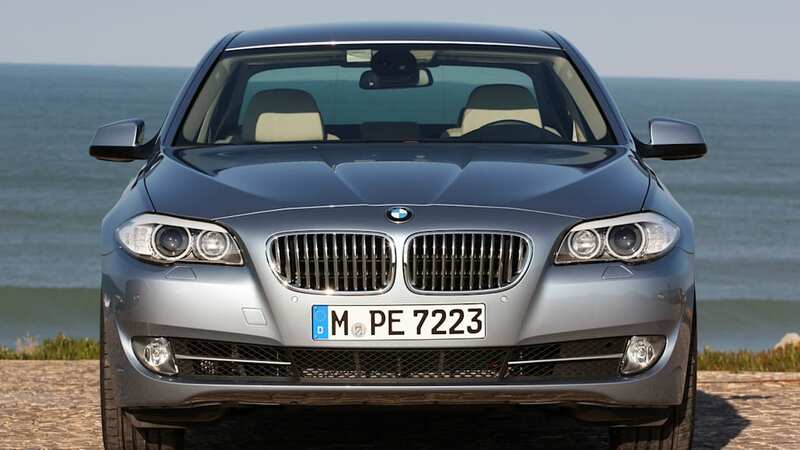 But will it sell well enough to get us to shut up about BMW's remarkable diesels? 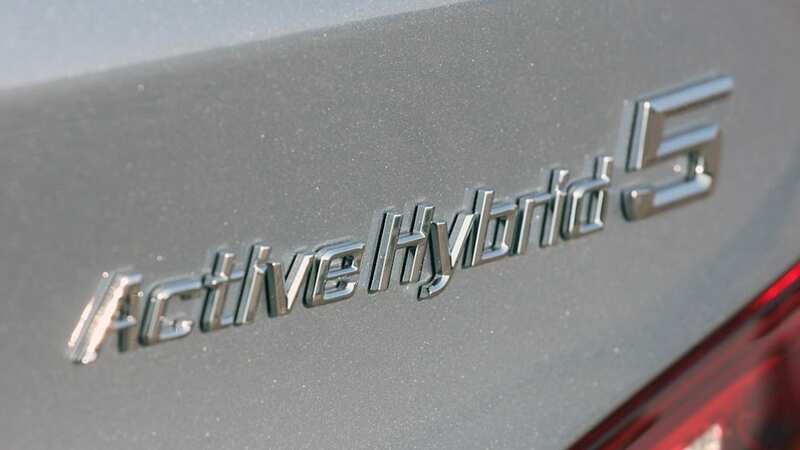 If the general market impact realized by the previous two ActiveHybrid models is any indicator, forgive us if we aren't jumping out of our socks after staring at BMW's business case. 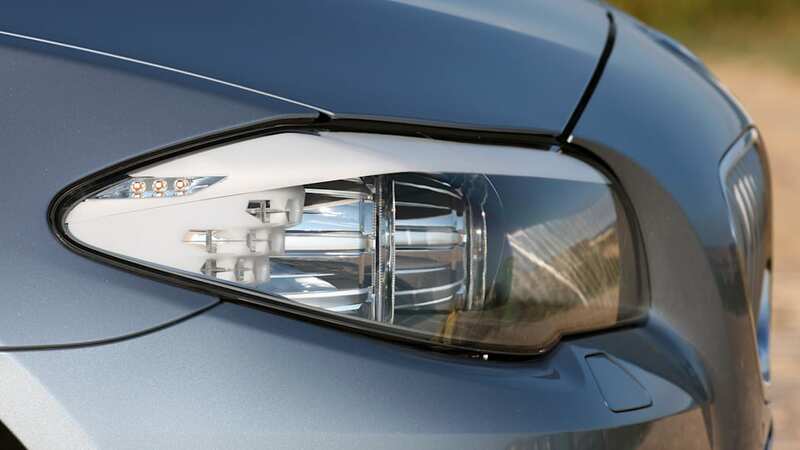 We certainly tip our hats to Munich for their best hybrid yet, but the Germans have their eyes on owning another kind of green awareness that goes beyond hybrids. 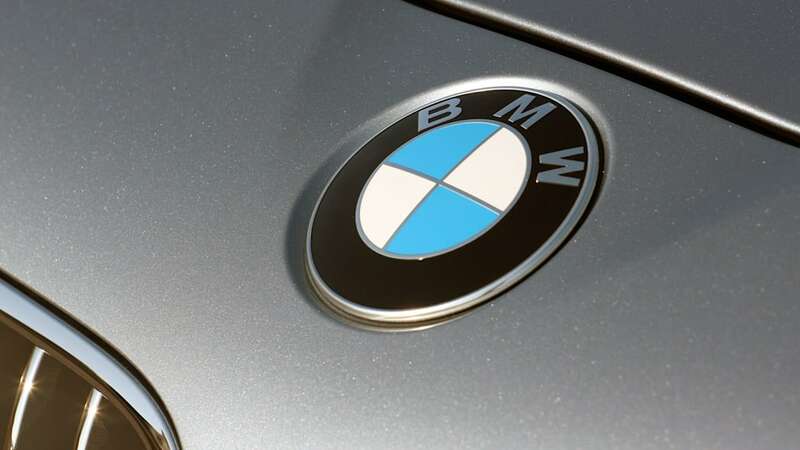 Our suspicion is that BMW is using its ActiveHybrid models as something of a (admittedly quite capable) time-filler while the world waits for the launch of its ultra-efficient i3 and i8 models. 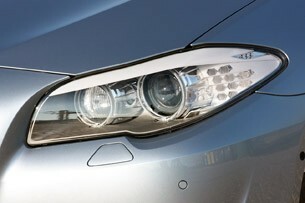 In fact, we wouldn't be surprised if BMW knocks us out with a Super Bowl ad or two next year for these more significant and genuine efforts.